If you're over age 60, driving may be getting riskier than you think. Research shows that aging affects our ability to see moving objects while we ourselves are in motion — when driving, for example — much sooner than our ability to see stationary objects. Age-related eye diseases also can compromise vision, even before we are aware of symptoms. Our driving skills can be further challenged after age 60 because we also lose some of our peripheral vision and our reaction time slows. According to the National Highway Traffic Safety Administration, 6,764 people ages 65 and older were killed in automobile accidents in 2016 — that's 18 percent of all traffic crashes. And it's likely declining vision played a role in many of these fatal accidents. Don't use your cell phone while driving. This is a bad idea at any age. But older drivers particularly are slower to react to a driving emergency, even without the distraction of a cell phone. According to the National Safety Council (NSC), drivers are four times more likely to be involved in a crash if they are using a cell phone when driving, and using a hands-free feature does not reduce this risk. Also, a study conducted by Harvard School of Public Health found cell phone use reduces reaction time and performance in older motorists more than in younger drivers. Use extra caution at intersections. According to research cited by the Insurance Institute for Highway Safety (IIHS), 40 percent of the fatal collisions of people 70 and older occur at intersections and involve other vehicles, compared with 23 percent of the crashes of drivers ages 35 to 54. The most common reason for these crashes was a failure to yield, especially when making a left turn. Avoid driving on unfamiliar streets at night. The National Safety Council says traffic death rates are three times higher at night than during the day. As aging Baby Boomers continue to take to the roads at night — in greater numbers than their parents — the risk of fatal crashes is expected to increase substantially. Even if you wear eyeglasses that seem to work well, you may not be equipped for glare, hard-to-read signs and the other unique challenges of twilight and nighttime driving. For these reasons, you should avoid routes with poor lighting, irregular twists and poor signage. Assess your driving ability based on reactions of others. Honking horns, worried loved ones, warnings from police and blinding headlights suggest rethinking where and for how long you should drive. If you are having difficulty, limit yourself to shorter trips, preferably during daylight and when weather conditions are favorable. Keep your car in good repair, plan extra time for travel, stay the recommended distance behind the vehicle in front of you and follow expert advice for driving safely. Reduce your speed when driving at night. As we get older, our pupils get smaller and don't dilate as quickly in the dark. Because of this and other normal age-related changes, only about one-third as much ambient light reaches the retina of the eye of a person who is 60 years old, compared with the eye of a 20-year-old. This loss of light transmittance can affect the reaction time of older drivers at night. Is Your Eyesight Affecting Your Driving? The Vision Council has found that many older Americans ignore the need for eye exams. Nearly half of today's seniors have never had a dilated eye exam. Worse, vision screening requirements for elderly drivers are lax in many states. Have your eyes examined annually. The American Optometric Association (AOA) recommends annual eye exams for anyone over age 60. Your optometrist or ophthalmologist can make sure your eyes don't show any serious age-related changes such as macular degeneration. 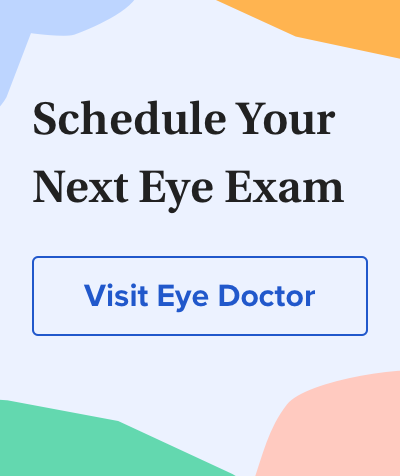 In some cases, your eye doctor may want you to have more frequent exams. Get rid of those reflections. Reflections in your eyeglass lenses can cause glare and interfere with your vision, especially when driving at night. Invest in lenses with anti-reflective (AR) coating for the clearest, most comfortable vision possible. Consider wearing special eyeglasses. New high-definition eyeglass lenses may be able to reduce halos, starbursts, glare and other problems caused by eye aberrations and give you sharper vision than you have now with your current glasses. Ask your eye care professional for details. Seek the best care for age-related disease. If you have cataracts, for example, implantation of an aspheric intraocular lens during your cataract surgery may provide sharper vision and better contrast sensitivity than a traditional, spherical intraocular lens. If you have diabetes, get your eyes examined at least once yearly and closely follow your doctor's recommendations regarding your diet, medications and lifestyle to reduce your risk of diabetic retinopathy, which can cause severe vision loss without warning. Traffic Safety Facts 2016: Older population. National Highway Traffic Safety Administration, U.S. Department of Transportation. https://crashstats.nhtsa.dot.gov/Api/Public/ViewPublication/812500. May 2018.<br> The problem of cell phone distracted driving. National Safety Council. www.nsc.org. Accessed January 2016.<br> 2013 Florida Aging Road User Survey. Florida Department of Transportation. September 2013.<br> Why older drivers crash at intersections and what can be done about it. Insurance Institute for Highway Safety. www.iihs.org. March 2007.<br> Cellular phone use while driving: risks and benefits. Harvard Center for Risk Analysis - Harvard School of Public Health. July 2000.